Research scientist Lara Shepherd and vertebrate curator Alan Tennyson look at the relationships of extinct seabird, the Scarlett’s shearwater (Puffinus speleus) in a newly published paper. New Zealand is the seabird capital of the world with more endemic seabird species than anywhere else. But before humans arrived with their exotic predators we used to have even more species. Scarlett’s shearwater was described as a new species in 1994 by paleobiologists Richard Holdaway and Trevor Worthy, but it was only known from fossils from the South Island. It probably went extinct in the 16th century, most likely because of predation by kiore. We were able to get DNA sequences from Scarlett’s shearwater fossil bones. Our DNA sequences showed that Scarlett’s shearwater is closely related to two other New Zealand species – fluttering and Hutton’s shearwaters. Hutton’s shearwaters had the misfortune of being on the news recently because around 25% of the species was killed by a landslip during the Kaikoura earthquake. Using our DNA sequences we estimated that Scarlett’s, fluttering, and Hutton’s shearwaters began their trajectories to becoming separate species in the last million or so years. Major changes in climate during this time may have promoted their speciation. Our next challenge is to determine the past distributions of Scarlett’s, fluttering and Hutton’s shearwaters. The bones of these species overlap in size making it difficult to tell them apart but our study shows that DNA can distinguish them. 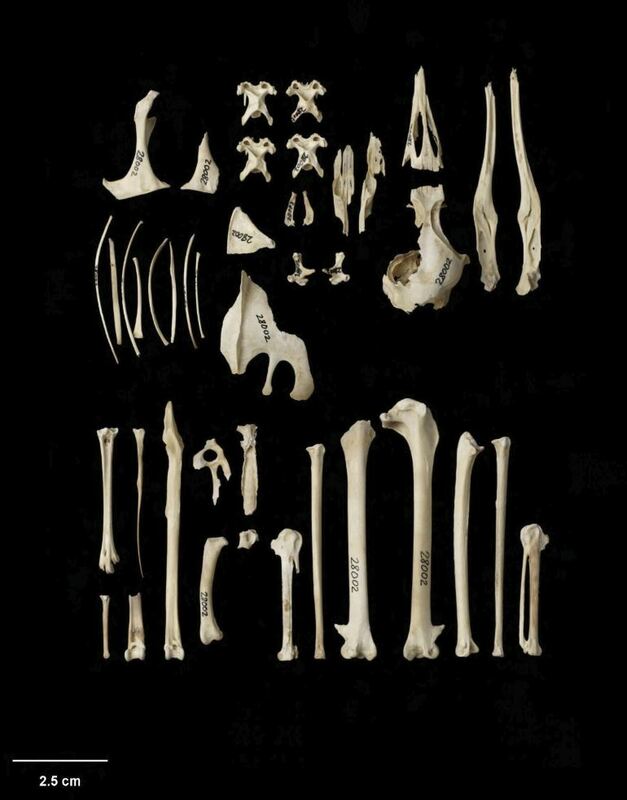 By sequencing DNA from shearwater bones from across the South Island we should be able to build a map of where each species used to occur. Thanks for the post Lara. Like Denis I hadn’t spotted the news about Hutton’s Shearwater, so thanks for that alert. Having now read the Stuff article I’m dismayed that DOC haven’t been given additional money to research the impact of the earthquakes on threatened species. Losing 25-50% of a species’ adults is bad enough but not having the resources to adequately assess the impact on that species and the others Karen Baird mentions must be incredibly frustrating and indicates the low value given to this by those who hold the purse strings. Sad, and let’s all do what we can to spread the word. Things will only change when more of us say this isn’t good enough. 25% loss of the Hutton’s! I recall very little (any?) reportage in our main stream media. We sneer (retrospectively) at Joseph Hatch, et al but harvest the same outcome with our collective indifference to our remaining treasures.